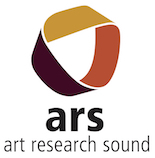 ARS – CUPRAS is a research project on sound as located between the arts and the sciences. We, a group of artists and musicologists, analyze sounding situations and sound art. We explore avenues of artistic research and collaborations between artists and scientists. We develop strategies to advance art and research on and in sound. Operating under the umbrella of the Gutenberg Research College at Johannes Gutenberg-University Mainz, this project aims to open new prospects for interdisciplinary research on sound. The project is dedicated to enhancing knowledge and public awareness of our audible environment. It explores the variety of relations between sound as an object of scientific study and sound as a medium of art. Drawing on the paradigm of artistic research, we seek to explore questions of knowledge production and creativity as they pertain to artistic and research activities. We believe that the arts and the sciences can greatly benefit by a mutual exploration of their respective forms of perceiving, representing, and shaping the world. The project strives to facilitate a dialogue between scientists and artists within each of these broad areas. The project will result in publications, conferences, exhibitions, and more.